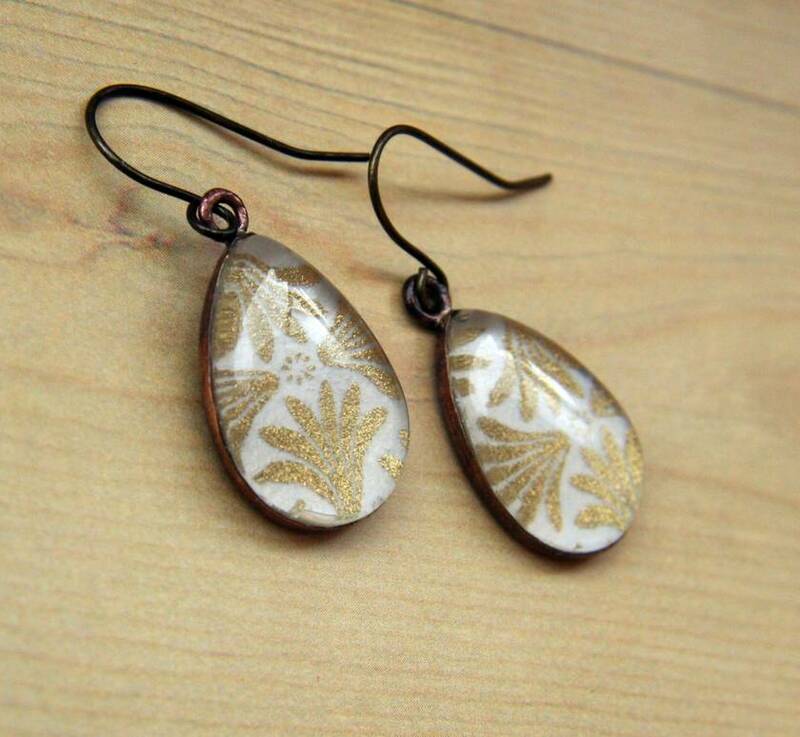 These lovely teardrop earrings are made of brass that has been darkened to an antique finish. 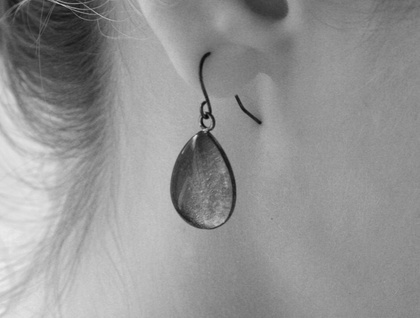 They hang from oxidized brass ear hooks. 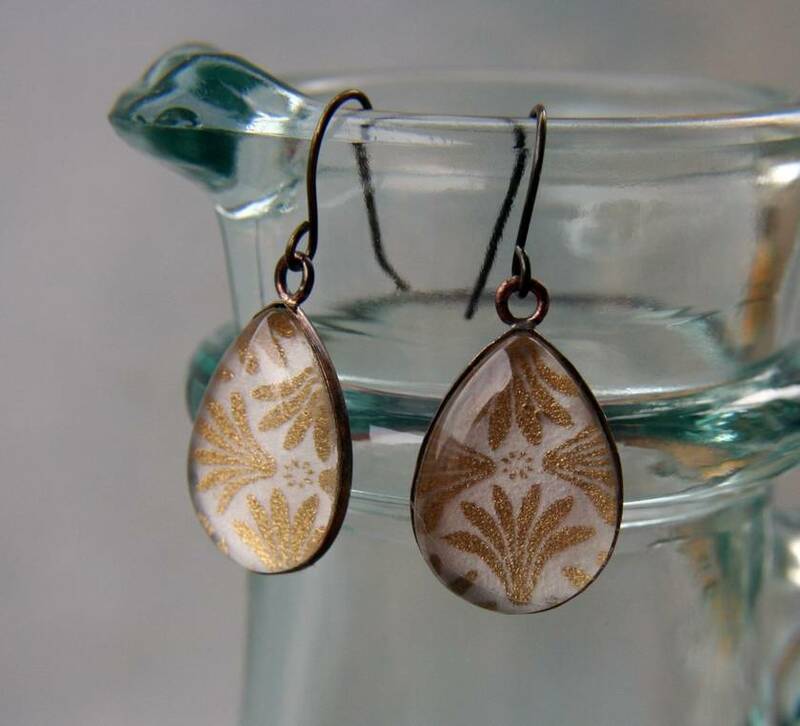 The teardrop is 18mm x 13mm and is made by underlaying Japanese Chiyogami paper with a white and gold ornate scallop pattern underneath clear glass. This is then set into the brass teardrop. 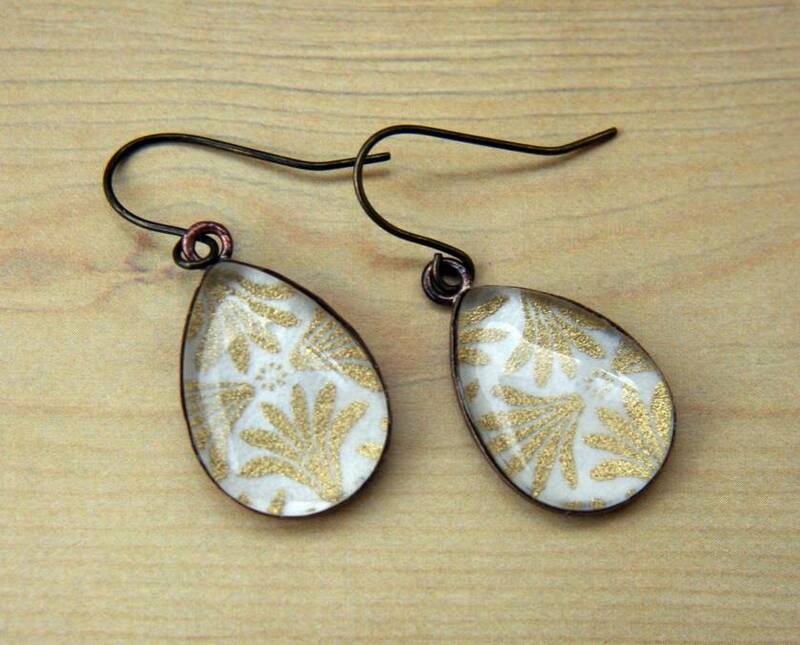 Please note that these earrings are made to order, so the print / pattern may vary slightly from the ones pictured. 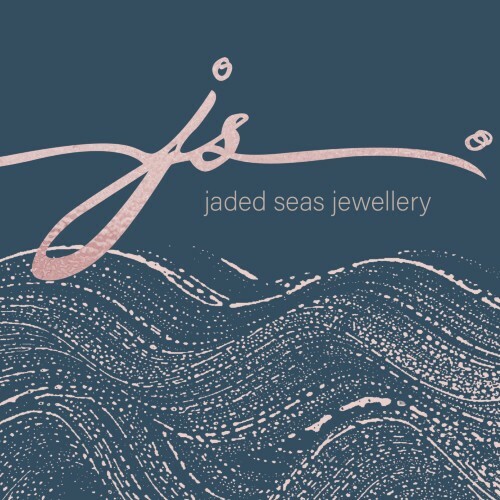 Although I've sealed the earrings, they have paper in them and it is recommended you treat as you would a non-waterproof watch and remove when swimming, showering etc. *note - the last picture shows the shape/size of the earring on a model, but the earring pictured not the same print as the ones for sale.